Nashville, TN - The Gospel Music Association has honored Curb Recording Artist PLUMB with four nominations for the 44th Annual Dove Awards. Presented annually by the Gospel Music Association, The Dove Awards acknowledges outstanding achievements and excellence in Gospel music. 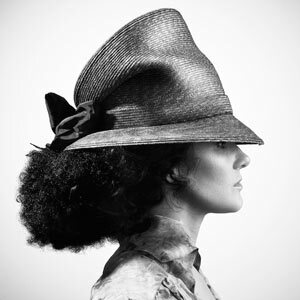 Plumb's song "Need You Now (How Many Times)" is nominated for Song of the Year, Pop/Contemporary Song of the Year, and Contemporary Christian Performance of the Year. Her album Need You Now is honored with a nomination for Pop/Contemporary Album of the Year. Need You Now Producer Matt Bronleewe is nominated in the Producer of the Year category. "I am both humbled and thrilled to be recognized by the GMA and the Dove Awards; it is truly an honor to be a part of this community of artists and music," states Plumb. "Most importantly, I'm grateful to have this platform to unapologetically share my hope in Jesus." Need You Now is Plumb's sixth studio album and has spent significant time on the Billboard Christian sales charts since its release in February. Title single "Need You Now" presaged the breakout album, soaring to #1 on iTunes Christian, hitting #1 on multiple formats and charting for over a year on the Billboard Christian Radio Charts. Now, the single's remix is currently boasting a Top 5 and rising on the Billboard Hot Dance Charts. Tonight, Plumb will be hosting an online Facebook chat at 7:00pm CST, where she will be talking with fans and premiering her new video "One Drop". The chat will take place at www.facebook.com/plumbmusic. Immediately following the Facebook chat, the "One Drop" video will be released on PLUMB's Official YouTube page (http://www.youtube.com/plumbartist).